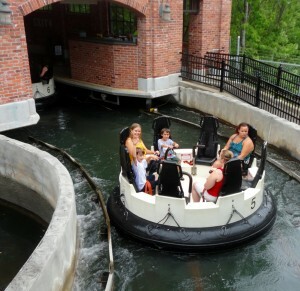 Yesterday we decided to take a family day and visit Six Flags of New England. Wet Mark and Jessica Matkovich, and Nick and Sarah. Of course, as the only ones in the group with kids, we wound up spending most of the day with just the four of us. We got tickets at the Submarine Base MWR office – a great deal for those able to get tickets there. Our plan was to get there when it opened at 10:30. We had a little late start, but were there by 10:40. We picked a perfect day for a trip to the park. It was overcast and threatened to rain all day – which meant no crowds – though maybe it being a week day was a bigger reason than the weather. The overcast sky also meant that it wasn’t too hot. The boys got their first chance to ride on real roller coasters. 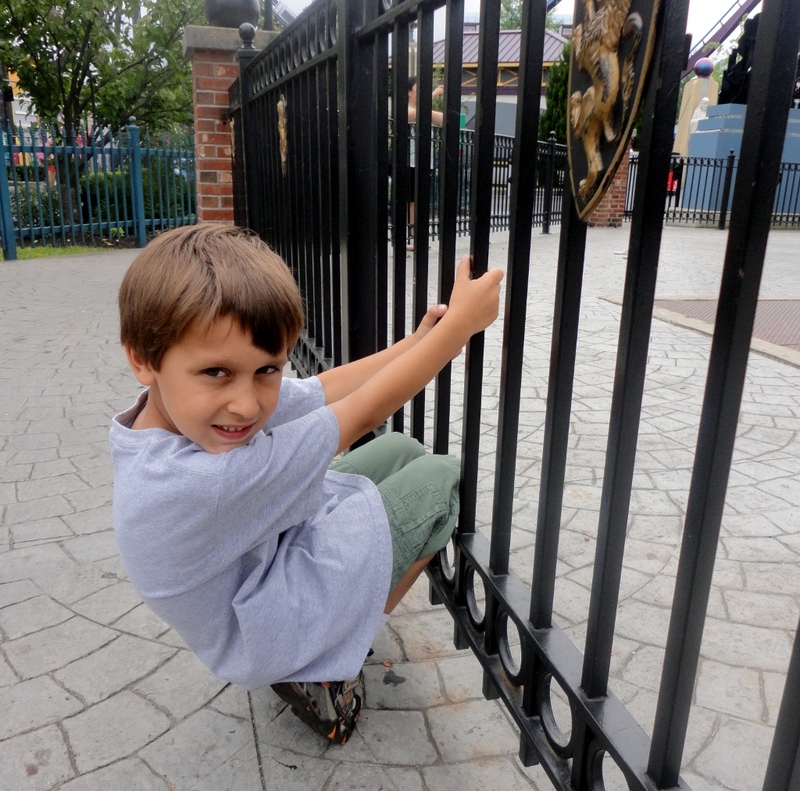 Ben was just a little too short to get on a bunch of the rides (a lot of the rides need him to be 48″ tall; he is 47″ tall). Will was just big enough to fit on all the rides (54″ tall). We started the morning on the newest roller coaster – some sort of mouse maze type (Gotham City Gauntlet Escape). Not very fast, but lots of turns and starts and stops. It was a pretty good start. We also spent a lot of time on the one they called “Catwoman’s Whip ” – a mild family coaster – but much better than the ones that are at the local fairs. That afternoon, I was able to get Will on some of the bigger rides. We started with the smaller of the two wooden coasters. 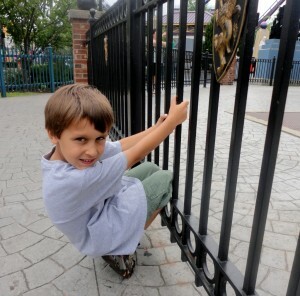 Ben was almost tall enough – next year he’ll be able to ride it. Will came off that ride and said “That was SOOO scary.” And he didn’t want to do it again. So we went back to the smaller rides. I finally convinced him that there was no line for the big wooden coaster – so he went on it with me. Much scarier than the smaller one. But he did it. And he screamed every time we went down a hill. And then we walked by the biggest ride in the park, “Bizarro” – a huge fast metal coaster. With the first drop a 225 foot plunge and reaching 77 miles an hour. There was no line in the afternoon, and he said he would try it. Talk about scary…… But he did it. He kept talking about it the rest of the day. The final big ride we did was “Batman,” with two loops and two corkscrews. He said that one wasn’t nearly as scary as the big one. Overall, we stayed until almost 7:30pm. Nearly 9 hours at the park. What a great day.